Our most popular video package is a two to four minute introductory or promotional video which communicates a business or organisations offer. 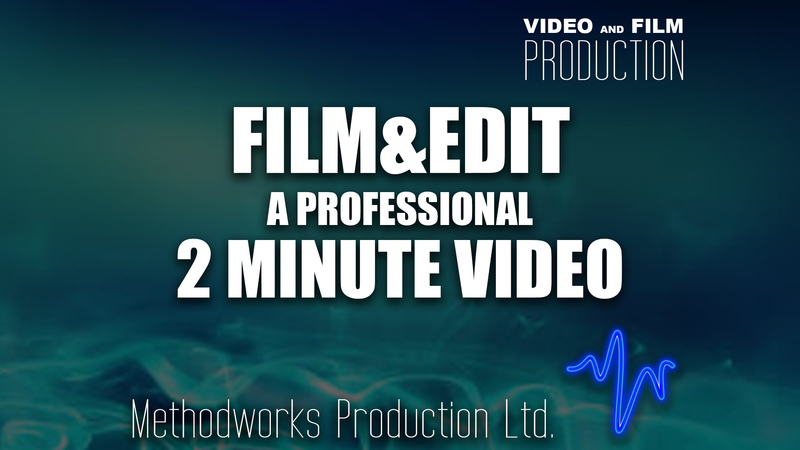 Our starting off of a 2 minute video will include pre-production to develop and organise your ideas, pre-production to arrange your shoot and then we will shoot and edit your final video to your full satisfaction. Videos will always contain and promote your branding, will have a defined narrative arc focused generally on your product or service, will include some form of demonstration and a strong call to action at the end as to prompt your viewing audience to respond to the video in some way. 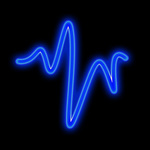 We include licensed music for online streaming. Once your idea is clear and a shooting date established, we will then send a two person crew to one location within London, using high-end 2K TrueHD Sony video camera, Sennhieser radio microphone and three LED panel lights, provide a six hour shoot anywhere within the M25 radius. Within 48 hours* of the shoot we will ingest, edit and compose a screener of your 2 minute video including a sound balance and grade, for your viewing at which stage you may suggest any final changes or amendments as required. Your full satisfaction is our responsibility so we give you the opportunity to make changes so that your video is perfect. We will then produce a delivery screener of your video so that you can see the work has been completed. Your final files (unless otherwise discussed) will be delivered as .mp4 files compressed in H.264 format for optimum web uploading and streaming. Whether you are seeking video for social media, your website or for a presentation or campaign, get in touch. *48 hour turnaround will be based on our availability when you book your shoot date. We aim, pending your feedback, to turn around the project within 5 days of the production date (filming). I will need a discussion about the requirements for the shoot and the structure of the video, and any online links to websites and social media to carry out relevant research, prior to requesting further materials for your video edit. Andrew was great to work with, very communicative and accommodating to our changing needs; the final work was of a very high standard. Very pleased! A true professional. High quality video production, quick feedback and excellent customer service. Will definitely use again! Methodworks is an independent creative Video and Film Production company based in London. We specialize in corporate and commercial visual communications, offering concept development,...Read moreMethodworks is an independent creative Video and Film Production company based in London. We specialize in corporate and commercial visual communications, offering concept development, pre-production management, full production and bespoke post-production services with support for distribution. Communication is our most powerful tool in evoking emotions in other people, and Andrew, our Executive Creative Director (with more than ten years’ experience and two degrees in the field), decided to dedicate his life to using this fundamental tool to improve people’s lives. He created a philosophy he calls The Method, which he employs within the video and film production industry and it will begin with your first engagement with Methodworks. We primarily work with businesses to effectively and powerfully communicate ideas, products, and services to an often unique market. We believe that our success relies on your success and so treat each and every engagement as a collaboration. We promote clear communication through a project to ensure we really understand your vision and your purpose for the services you require from us so that we may add and increase value along the way to produce an even stronger end product that your audience will. see. We not only produce full projects (from developing your concepts, arranging all the requirements of a shoot, shooting and post-production services) we also offer a wide range of respective individual services as you are often seeking a skillset to compliment a part of your project and we ensure we are ready to fill that gap for you. We primarily work in London, yet often travel across the UK to provide our services and have gone as far as Germany for projects. We pride ourselves on the level customer service and customer experience we offer you, always seeking ways to improve our offerings, we consistently receive the top five-star rating from all those we engage with and we intend to keep it that way. So, whatever you may be seeking, regarding film and video production services, send us a message today to see how we can help you.